Please update the converter firmware from the below link. Plug & Play - no original PS4 controller needed for verification. Converts XBOX 360 wired controller or XBOX One wireless controller + USB cable or XBOX One wired controller to be used on PS4 console. XBOX 360 wireless controller + play & charge kit will NOT works. Supports Turbo / Rapid Fire function. USB interface which permits hot swapping. Each Brook Controller Adapter can only handle one Xbox 360/Xbox ONE controller at a time. 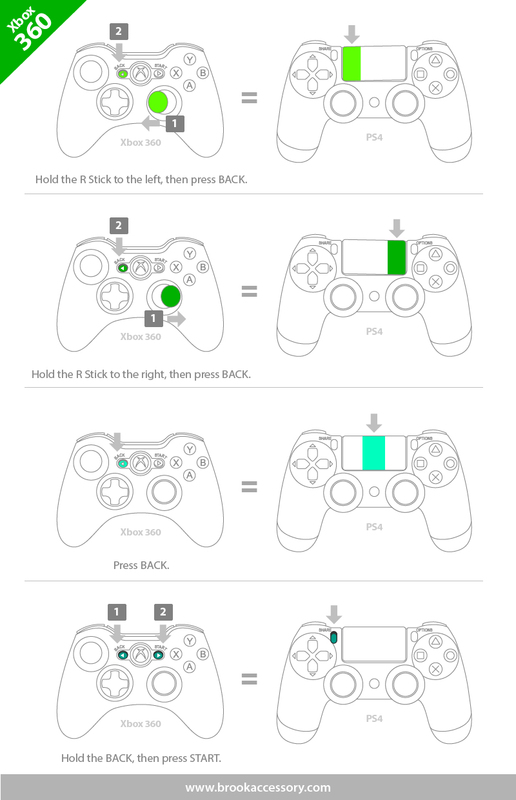 Xbox 360/Xbox ONE controllers connect to the Controller Adaptor automatically, but must be connected with a USB cable at first time use for the purpose of registering the controller. After registering a controller and unplugging the USB cable, please wait 3-5 seconds before pressing the PS button to ensure that the connection to wireless is smooth. 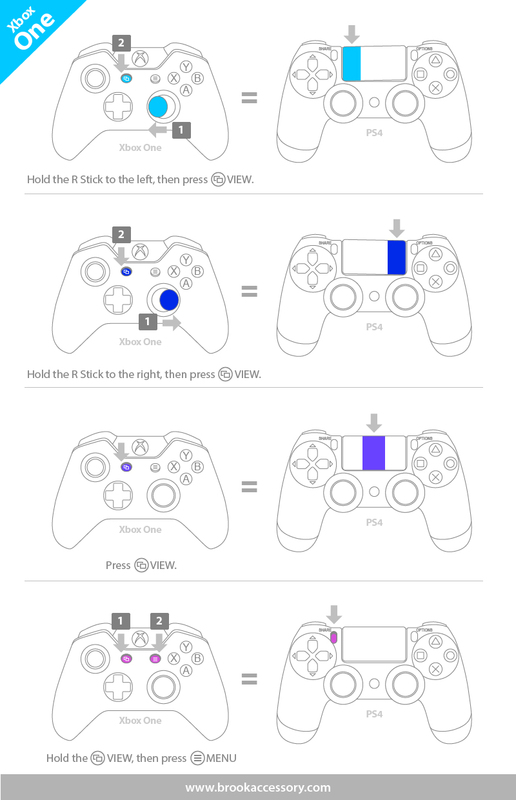 For those controllers/sticks which are not listed may be not compatible or not tested yet.